To turn events on/off in the dashboard, the Web Integration should be used. 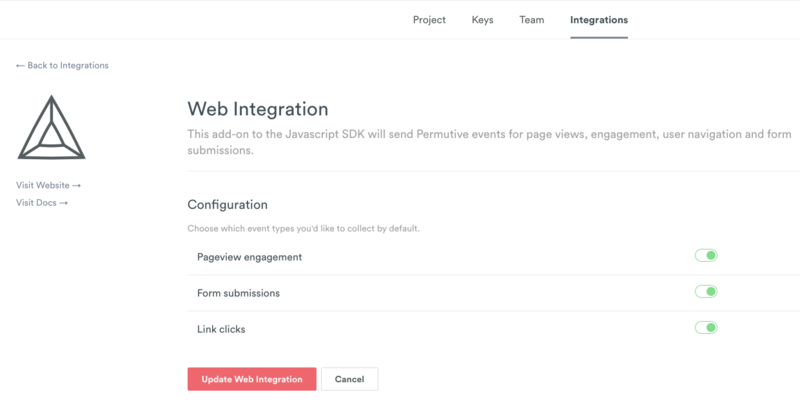 This feature can be found under Settings → Integrations → Web Integration, where you can toggle the different event types. When turning these events off, the toggle should be clicked and 'Update Web Integration' selected. The event chosen should take less than 15 minutes to stop firing into Permutive. If you have any questions please contact support@permutive.com or use the LiveChat button in the bottom right corner.